Welcome to the world of i.am+, the technology startup at the intersection of will.i.am’s entertainment empire and entrepreneurial ambitions. The rapper, producer and DJ has straddled music and commerce throughout his career: Years before i.am+ launched in late 2012 with its foto.sosho camera accessory line for the iPhone, his multiplatinum hip-hop group Black Eyed Peas inked sponsorships with everyone from Apple to Coors to Best Buy to Honda. Along the way, will.i.am landed deals with firms like Intel—which in 2011 named him director of creative innovation — and Coca-Cola, his partner in Ekocycle, a brand devoted to sustainable goods. He’s also a founding shareholder in Beats Electronics, creators of the wildly popular Beats by Dre headphones brand. The difference this time is that will.i.am isn’t collaborating with Apple; he’s competing directly against it. The i.am+ smartband aims to challenge the Apple Watch and other wrist-worn smart devices, offering consumers voice-activated access to music, maps, messaging and other digital media services. We met him through his music, but Will.I.Am clearly had a bigger vision and bigger plans for himself. 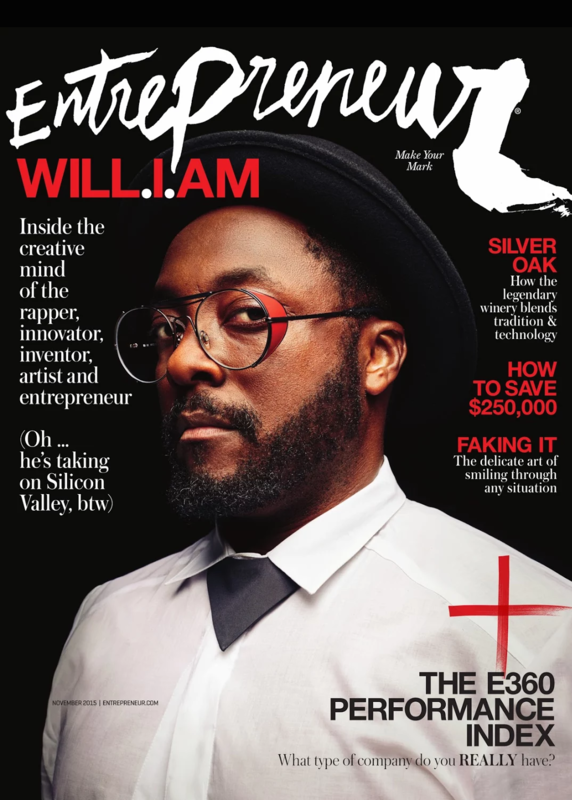 In his Entrepreneur article, Will.I.Am shares with contributor Jason Ankeny about his humble beginnings as a poor young man who was setting trends, his ‘brand discovery’, his journey with the Black Eyed Peas selling 31 million albums and 58 million singles worldwide, his entrepreneurial stumble and what’s coming next in his technological pursuits with i.am+. Get your Entrepreneur Magazine subscription today!